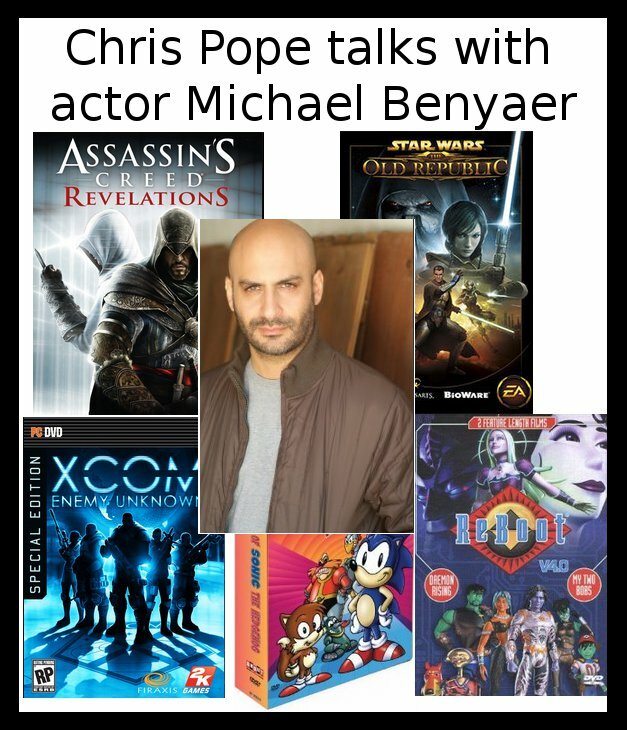 Join Chris Pope as he interviews Michael Benyaer on this audio podcast! Michael Benyaer is a Canadian/American actor, cartoon and video game voice actor and is probably best known for his roles as Hadji Singh in season one of The Real Adventures of Jonny Quest and Bob in the Canadian CGI series ReBoot, seasons 1, 2 and 4. On playing Hadji, Benyaer stated, “[he] is one of the few roles for an ethnic actor that is not a bad guy. I mean, how many East Indian heroes have been on television? Hadji is for the sensitive kids out there. He is the outsider in all of us.” A Star Wars fan, Benyaer relished the opportunity to work with Mark Hamill for the episode, In the Realm of the Condor. Among other roles, Benyaer also voiced Lieutenant Draza in Uncharted 2: Among Thieves, and Hikaru Gosunkugi and Kengyu in Ranma 1/2. He has also guest starred several times on Robot Chicken.